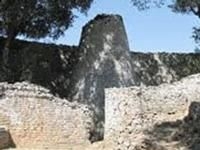 Another interesting place to visit in Zimbabwe is the Great Zimbabwe Ruins, found 30 kilometres past the south eastern town of Masvingo. These structures were built by the African people between AD 1250 and AD 1450 the stone walls, up to 6 meter thick and 12 meter high are built of granite blocks without any use of mortar to hold the blocks together. A historical site definitely well worth a visit!! 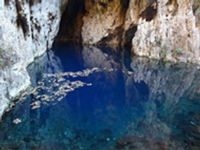 These Caves are found near the town of Chinhoyi, on the road to Kariba approximately 125kms north west of Harare. They are well worth a visit to see a huge shaft that is 30 metres across and 45 metres deep, once you have climbed down the stairs all the way to the bottom, there is a pool of brilliantly clear waters which are a very popular place for scuba divers to dive as the pool is very deep. There is a camping and picnic site , that makes for the perfect stop on the way to Kariba. 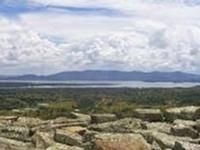 Lake Mtirikiwi is situated near Masvingo, the park is stunning surrounded by mountains and provides a rest camp perfect for visitors to view the wildlife such as antelope, giraffe, buffalo, and hippo can be seen there, but the park is especially well known for the white rhino.